The 2018 APA Ambassador program is well under way with more than 170 APA members volunteering their time and expertise across the U.S. and abroad. We continue to see a diverse array of participants, new types of activities, and creative approaches to civic engagement. Throughout the year, Ambassadors share their experiences in the APA blog and on social media using #APAAmbassadors. The APA Ambassador Program is a volunteer activity led by members of the American Planning Association with the goal of increasing awareness and understanding of the power and value that the planning profession brings to communities. Particular emphasis is placed on reaching audiences of diverse racial, ethnic, cultural, and economic backgrounds. Our Ambassador Materials page provides content to help Ambassadors lead effectively in their communities. You'll also find documents required for you to communicate your success and remain in good standing. Meet some of our Ambassadors and explore the ways they are involved in their communities. Learn about their techniques, challenges, and tips for future participants. 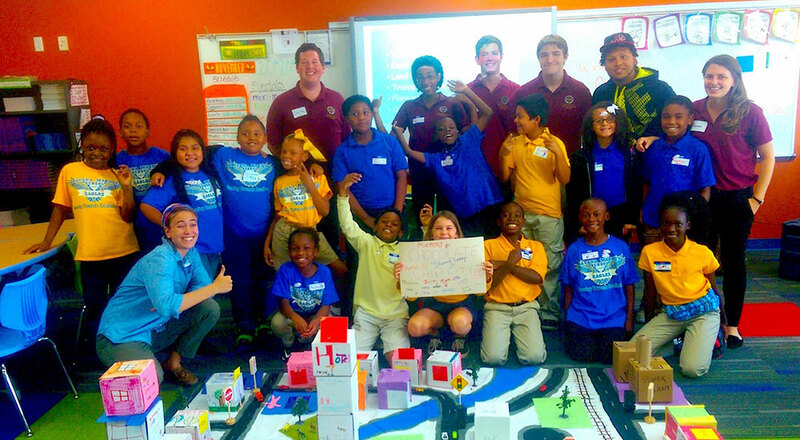 Florida State University students organized a Box Cities event for the APA Ambassador program. Photo courtesy Yes Segura.